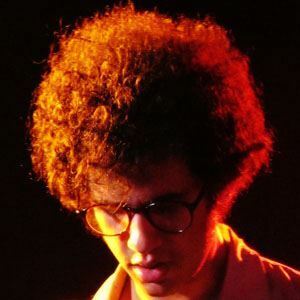 Guitarist and frontman for the progressive rock group The Mars Volta. He also plays guitar for the bands Antemasque Bosnian Rainbows. Learning guitar and bass in his teenage years, at 17 he decided to hitchhike around the country and then joined the the group At the Drive-In. Expanding his dub-reggae outfit into the Mars Volta, he released several well-received albums, on the side working on experimental sounds of his own. Born in Puerto Rico, he came, by way of South Carolina, to be raised in El Paso, Texas. Jon Theodore was his bandmate and the drummer for The Mars Volta.